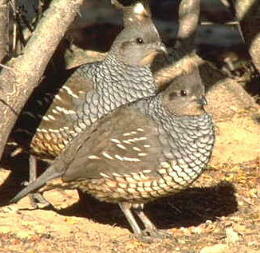 Scaled Quail, The Gray Ghosts. Leave those light loads at home if you plan on hunting our scalies. 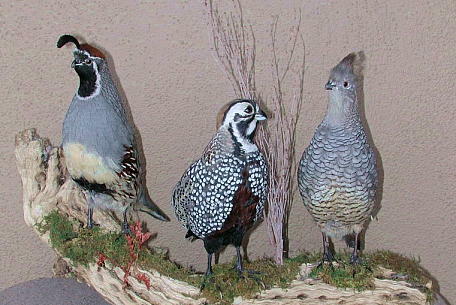 Scaled Quail are just a little bit bigger and seem to fly at the speed of a small rocket. Their gray color makes them hard to see, even on the brightest of days. When they go down, they will run into cactus, unless they hit the ground with a thud. Use 7 1/2’s or on a windy day get out those 6’s. 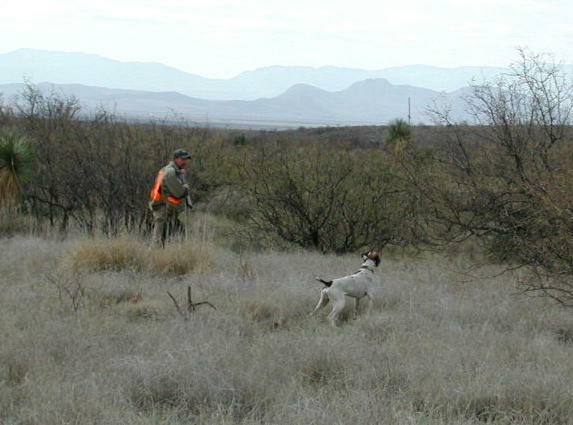 Hunting Mearns’ quail is about as challenging as quail hunting can get and it can be tremendously fun to do, BUT, it is always hard work. 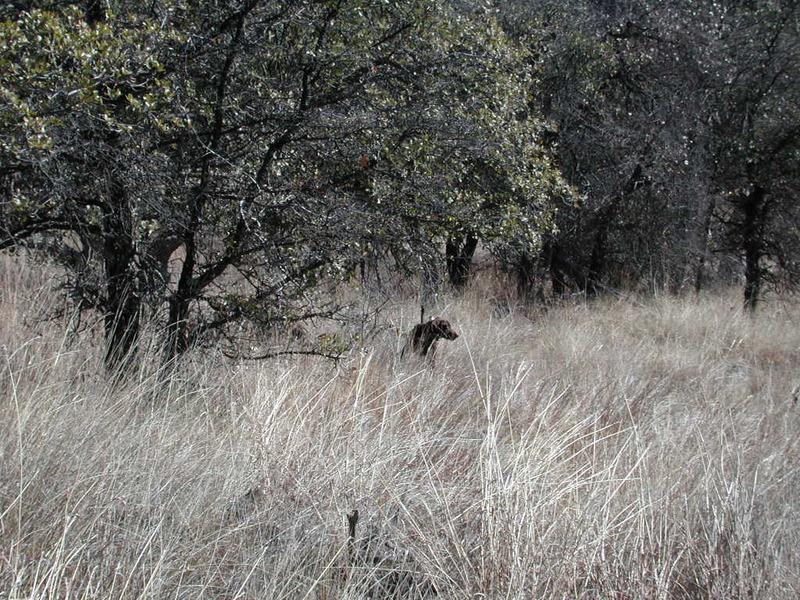 Mearns are found at higher elevations, 4500 to 5500 ft. 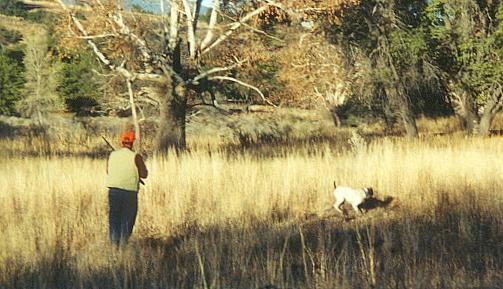 They are hunted in the arroyos that come out of the mountains. We hunt the canyons and side canyons. The terrain can be steep and slippery. 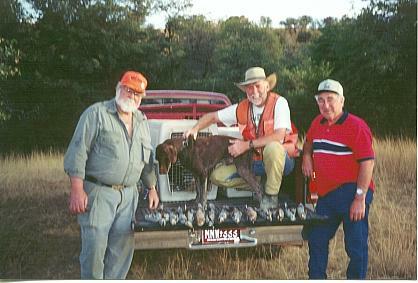 Mearns’, or as they are called by some “Harlequin” or “Clown” quail, are the trophy that is most desired by our out-of state hunters, and we have had great success on Mearns, however, it is always related directly to the condition of our hunters. Those that are in good condition always do better. 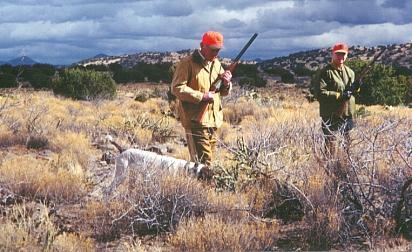 If you are planning a Mearns’ hunt, take some time to work on your legs and wind. You will be glad you did. 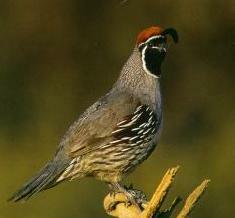 Gambel’s quail is the most commonly found and hunted of the three arizona species. 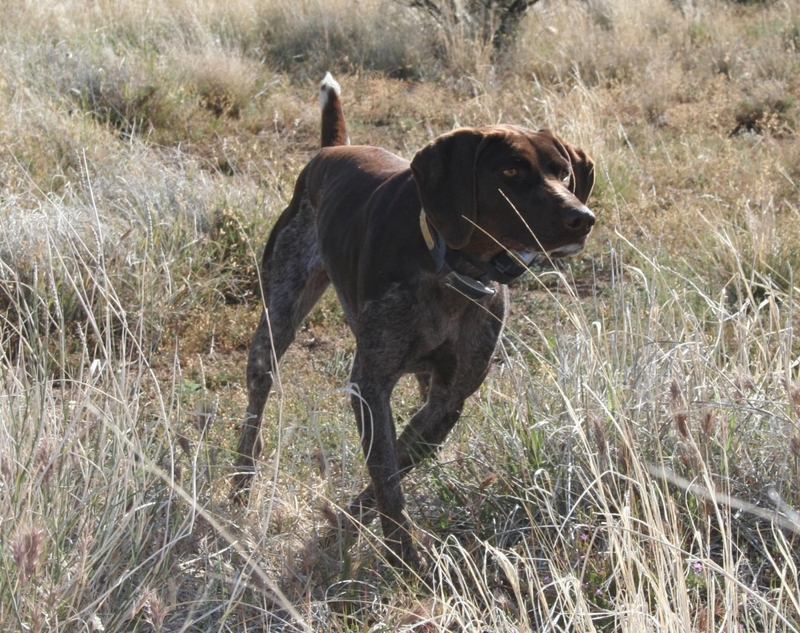 They can be found in the central and southern parts of the state from California to New Mexico. 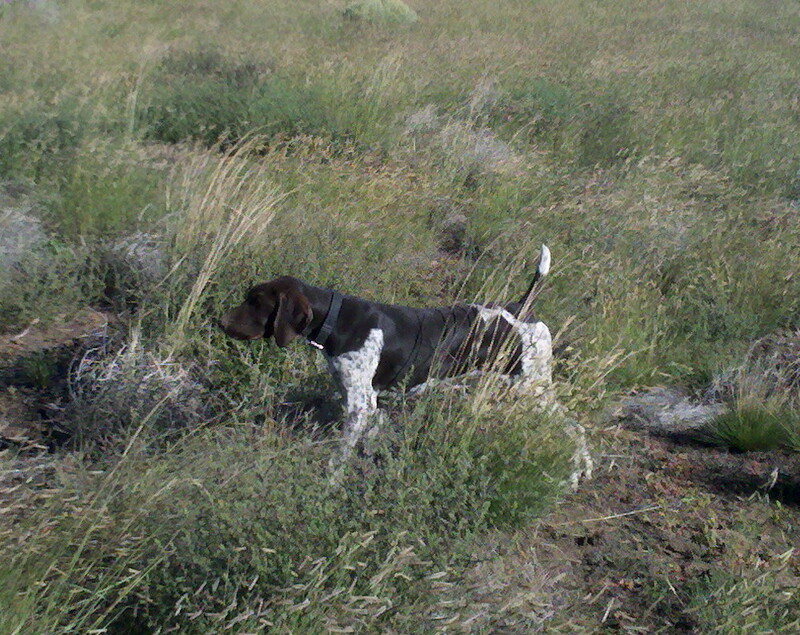 When found in open habitat they love to run in front of you, but in heavier cover they will sit tight for the dogs. That’s when it gets to be a lot of fun. 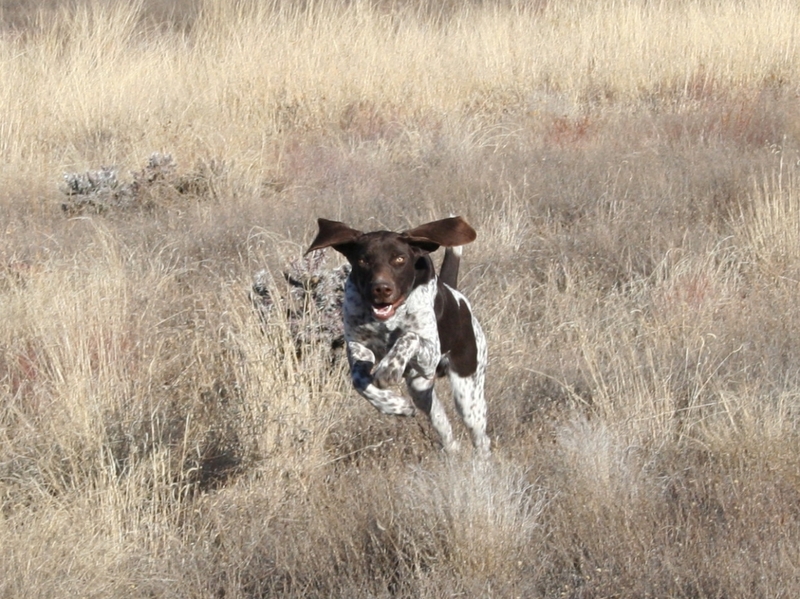 Ok, the dog is standing on point, you move up and that single you saw land a few minutes ago explodes in flight. 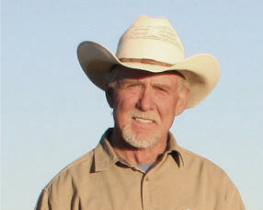 Your heart goes to the bottom of your stomach as your gun rises, you swing through the bird and pull the trigger. The bird falls and almost before you realize it, the dog is on his way back with the bird. Man, I love this game! Don’t forget to reload, there may be more!